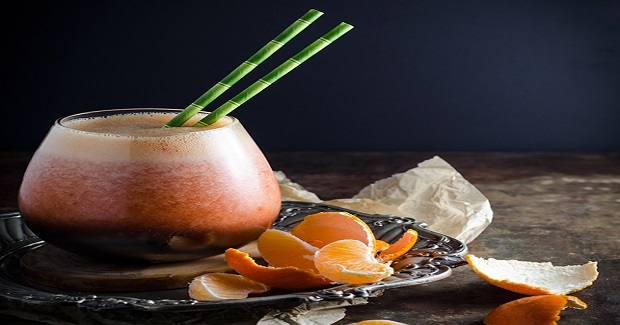 Tangerine And Strawberry Smoothie Recipe - Gutom Na! Posted on Thursday, April 28th, 2016 at 4:20 pm. Peel the skin from the tangerine and segment the flesh. Remove the pips from the segments and place in a blender with the hulled strawberries, coconut water and ice.